That Hugh Bowman quote sums up the dominance of Winx as she cruised to 25 straight wins having taking out the $4m Longines Queen Elizabeth Stakes (2000m). Many, including Bowman himself, pegged this assignment as her toughest test in years but as she always does Winx left the doubters wondering why they let that shred of doubt creep in. “She’s just an exceptional athlete, she creates so much attention, I’m just so elated, I’m so proud of her and I’m just so proud to be a part of it. What can I say, I’m lost for words,” Bowman gushed after Winx blew her rivals away. Bowman dropped Winx out to last in the run but it was evident at the top of the straight that the winning sequence was in doubt as he superior cruising speed kicked into gear and her 400-200m which put the race to bed. There was 3.8 lengths back to Gailo Chop in second. Gailo Chop, mind you, was the leader in the race. “There’s so many cogs to the wheel and I know I get the dream ride here today, god forbid if something went wrong it wouldn’t be a good place to be, but she’s so exceptional, she is able to overcome everything and what a pleasure she is for sport,” Bowman said. 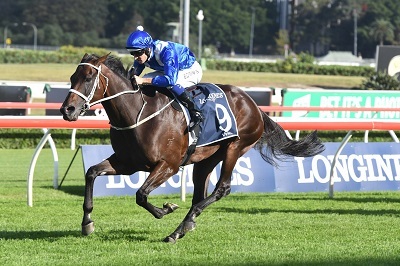 Winx is a champion in every sense of the world and while the crowd waved their blue Winx flags as she let rip at Royal Randwick, there is a feeling amongst the training ranks that Chris Waller’s management of the horse is as impressive as the engine in Winx’s bonnet. “You can only get the best out of her when she’s running against the best,” he added.